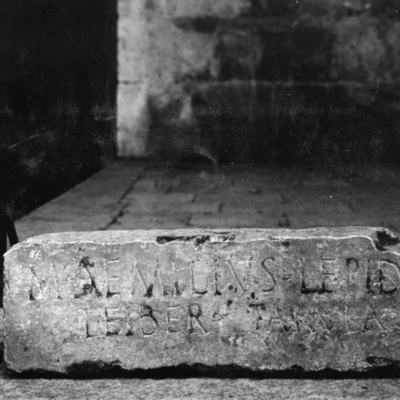 Greek inscription on limestone block built into the wall of a house near the Circus. 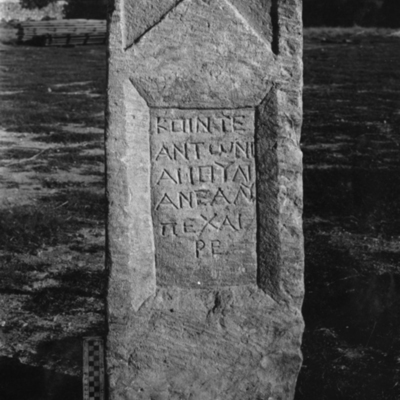 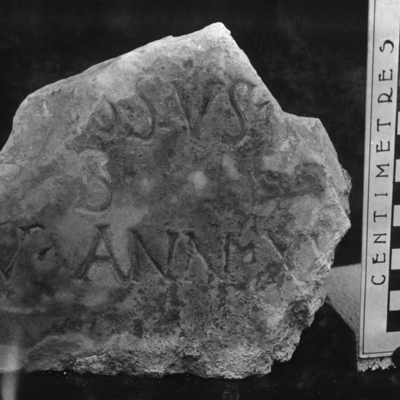 Limestone inscription in Latin "SVRVS." 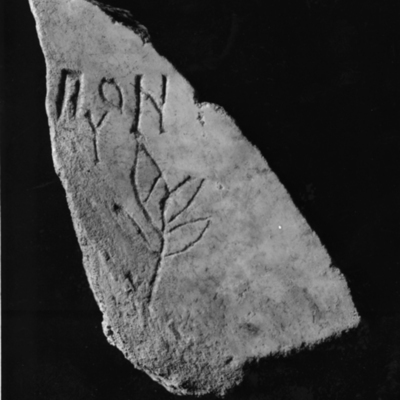 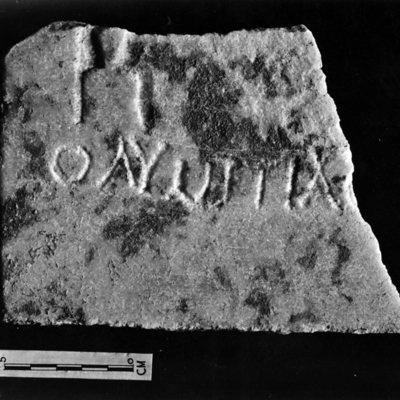 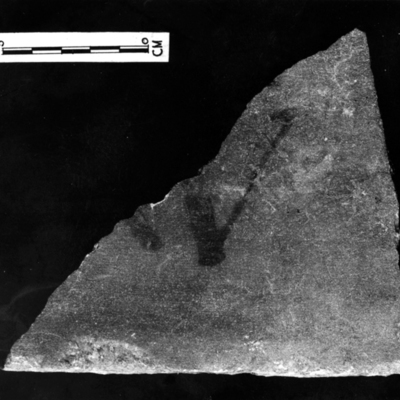 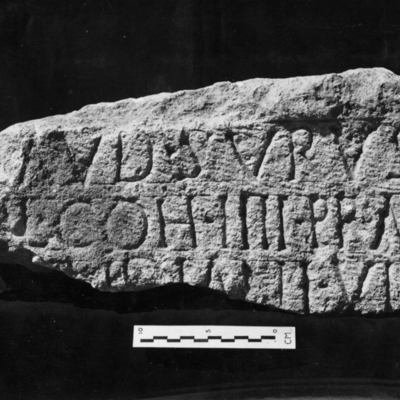 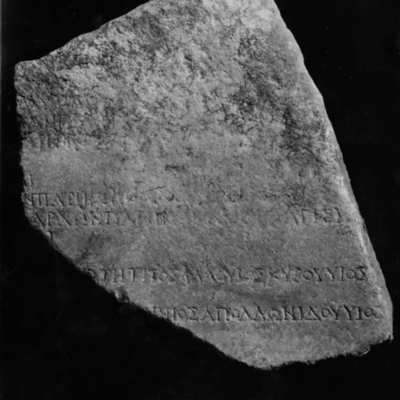 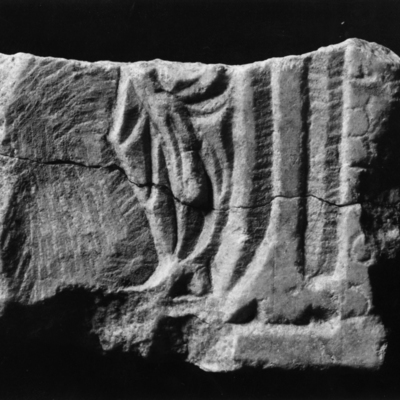 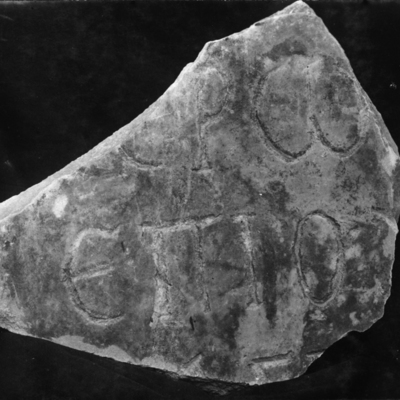 Inscription fragment from the panel of Galatea. 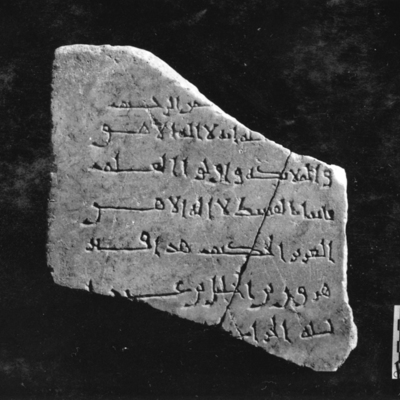 Unidentified limestone frag engraved in simple Kufic. 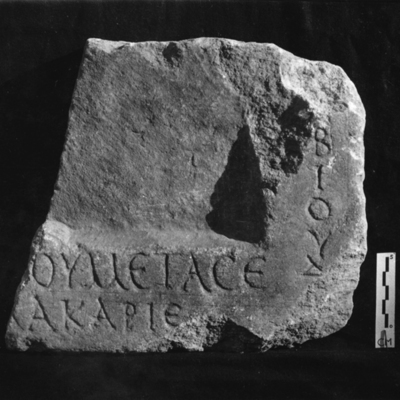 Greek inscription in bluish marble #3531-I52. 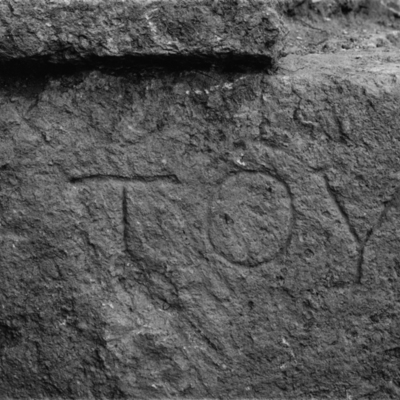 Inscription on re-used limestone block in the scaenae frons #5486-I 181. 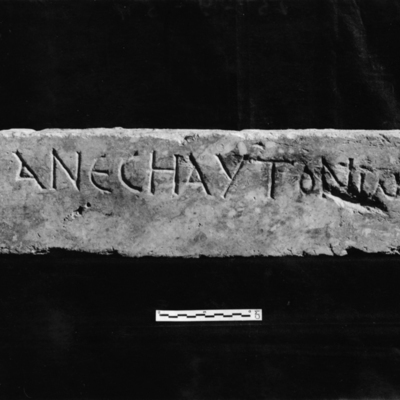 Marble lintel with Greek inscription. 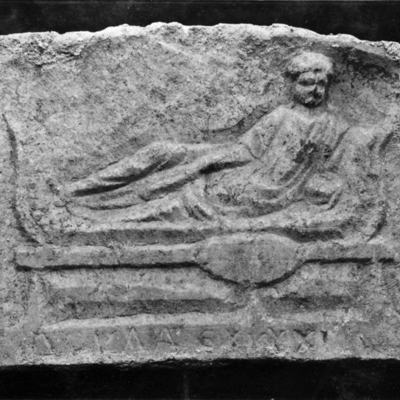 Lower half of marble grave relief with Greek inscription #3784-I71 purchased. 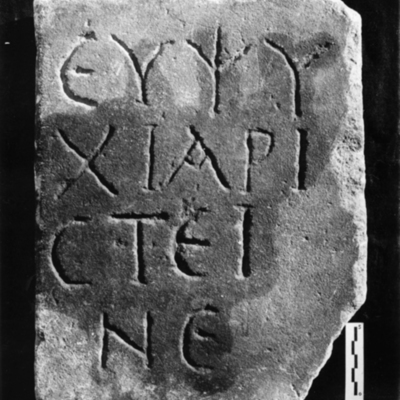 Marble epitaph with Greek inscription gift to excavation #3835-I72. 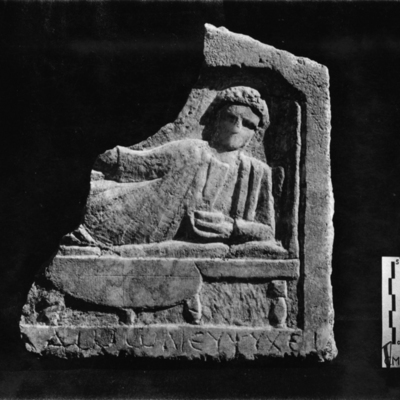 Marble grave relief of reclining figure with Greek inscription #3783-I70 purchased. 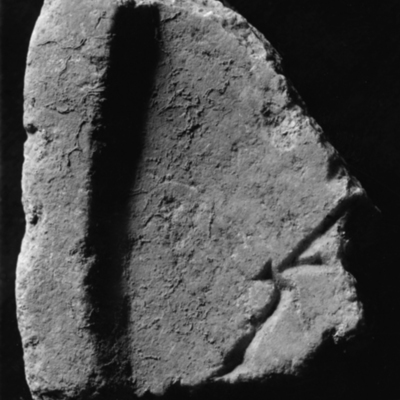 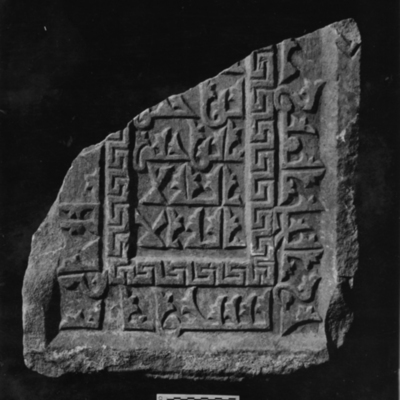 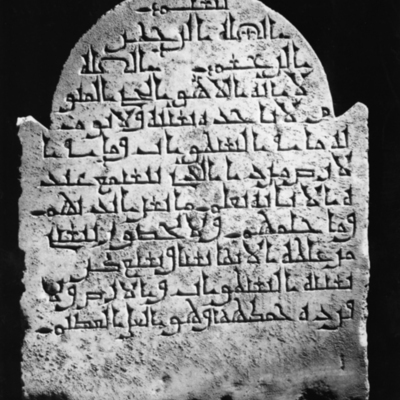 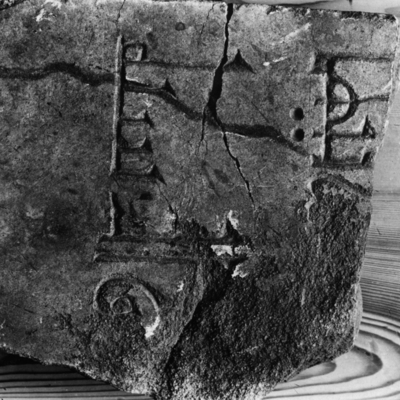 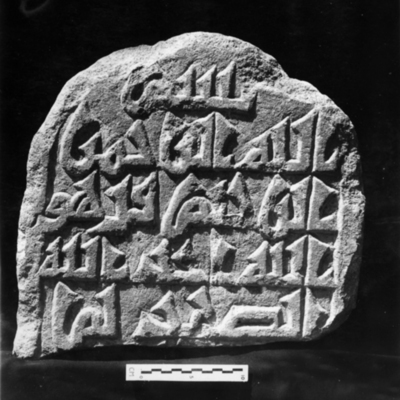 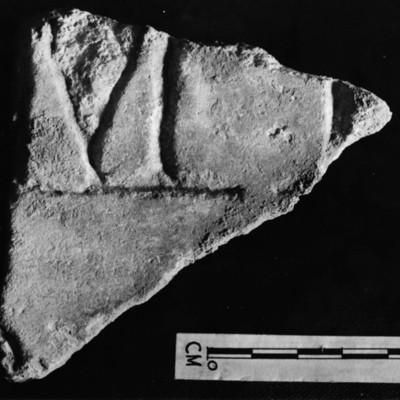 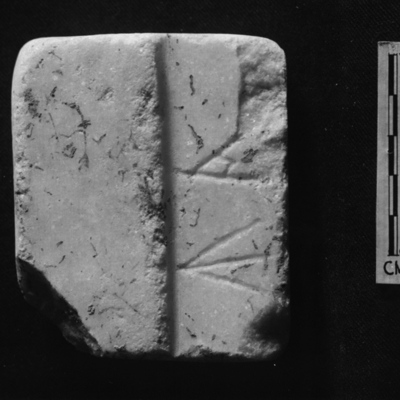 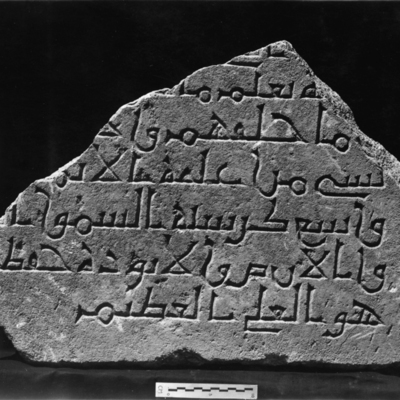 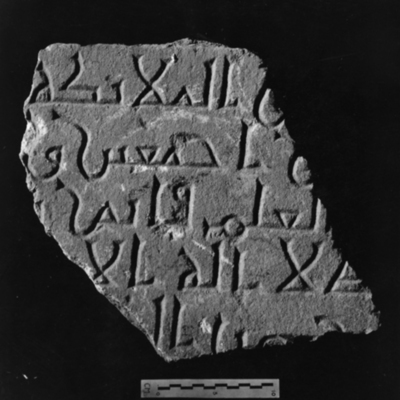 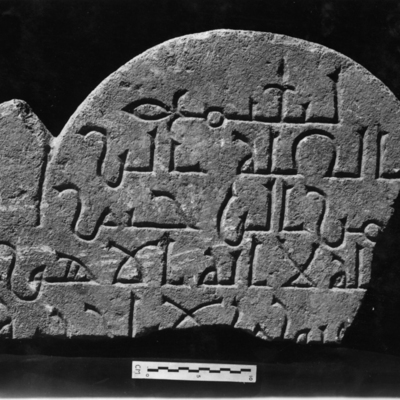 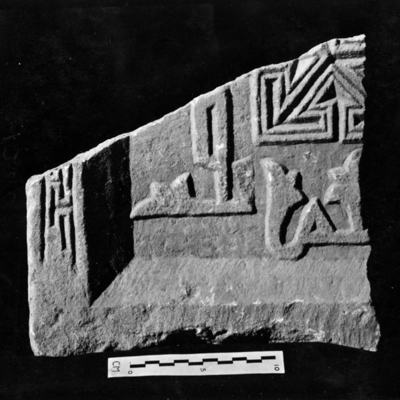 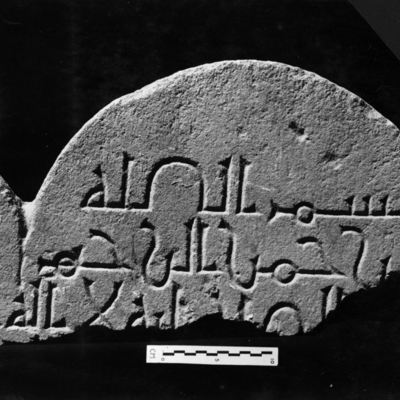 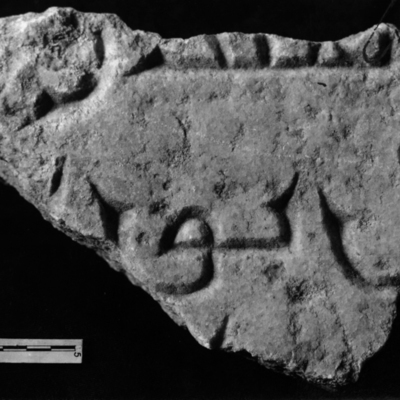 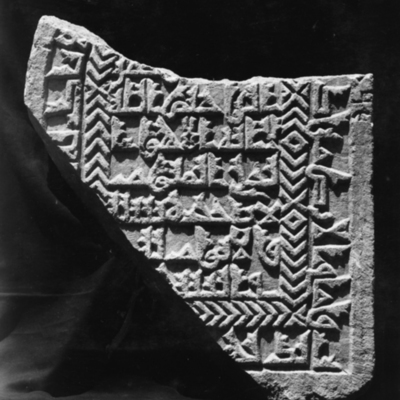 Marble stele fragment with inscription in simple Kufic #3861-I73. 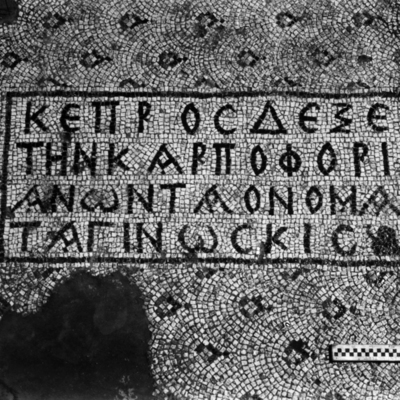 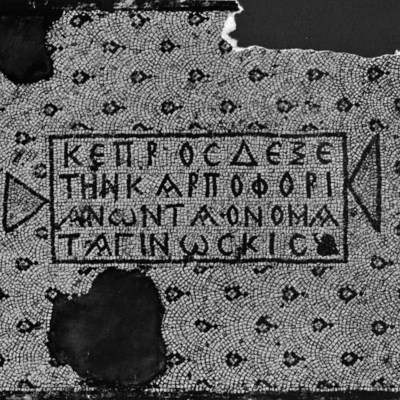 Raised mosaic inscription from the north aisle. 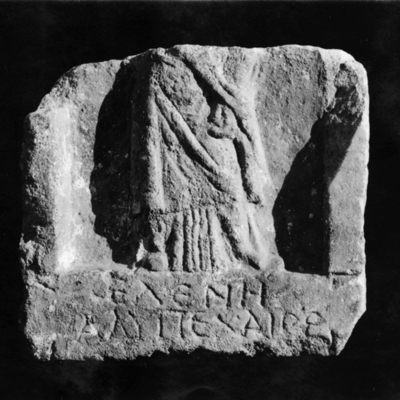 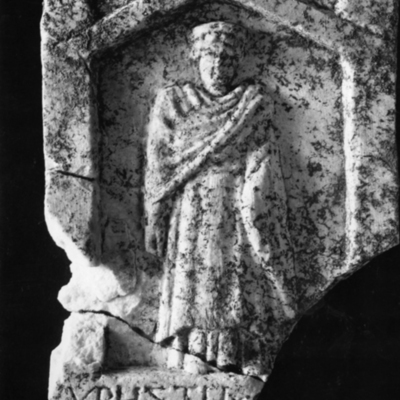 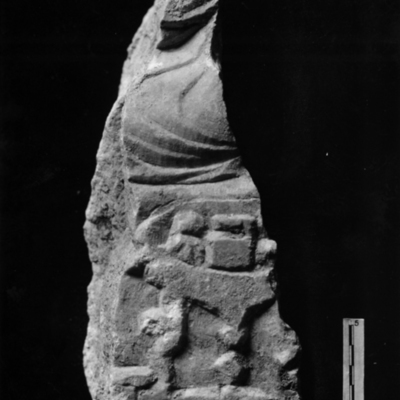 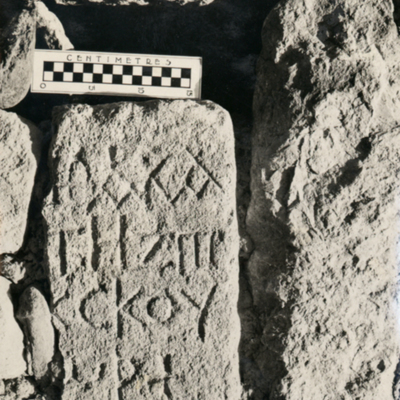 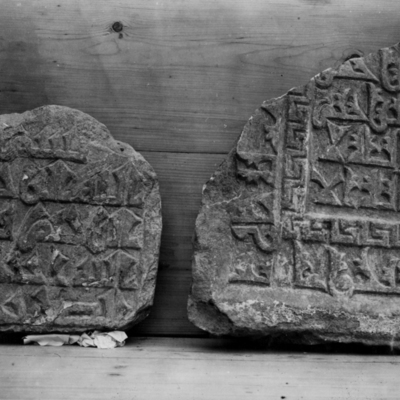 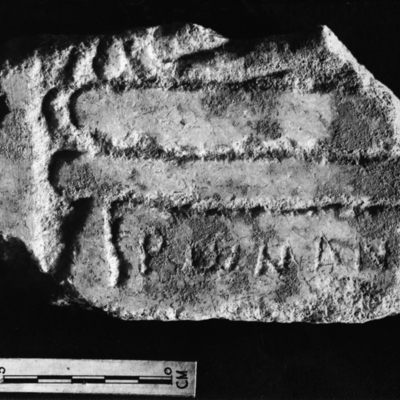 Stele in two pieces with Greek inscription and robed figure purchased by the Expedition. 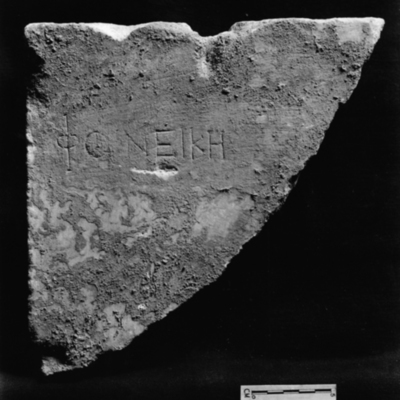 Fragment of grave relief from Tomb 3 with Greek inscription. 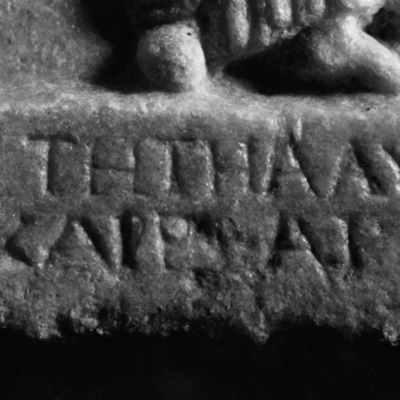 Fragment of grave relief with Greek inscription. 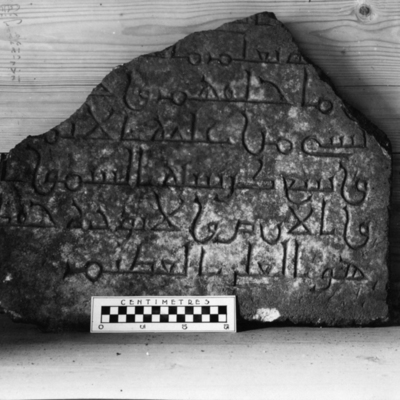 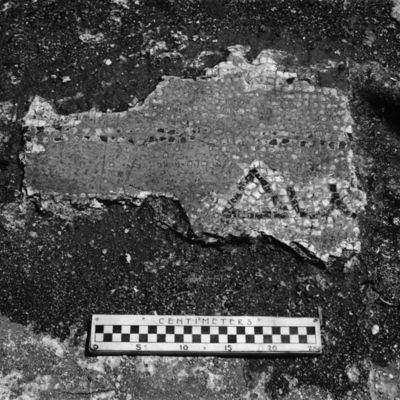 Arabic inscription surface find in 9-N.
Fragment grave relief with Greek inscription detail of inscription. 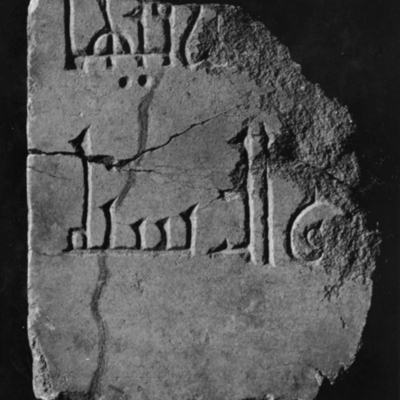 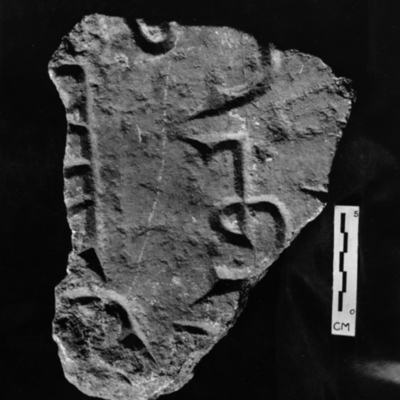 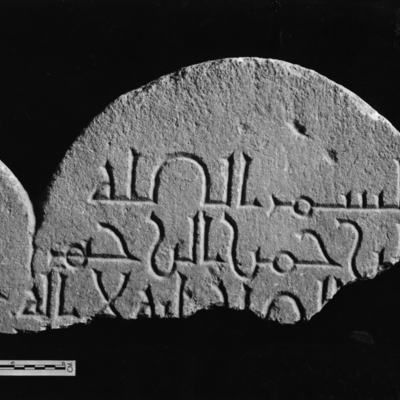 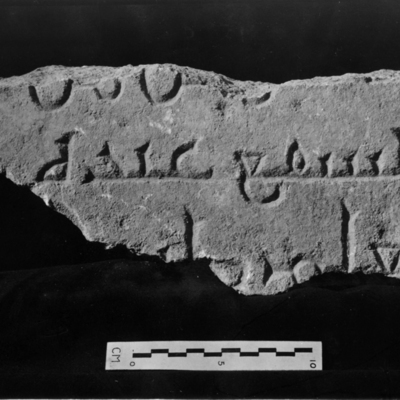 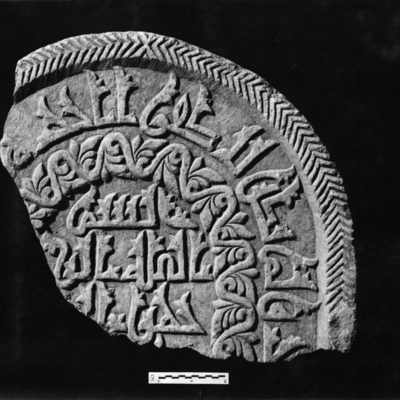 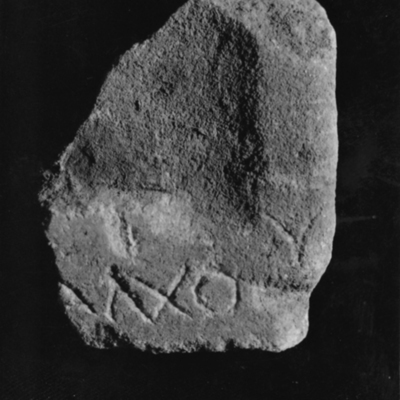 Cufic inscription property of Nadimeh Hanoum Sawfat. 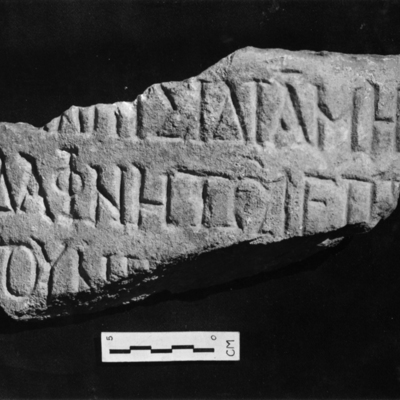 Greek inscription handed in by a local resident. 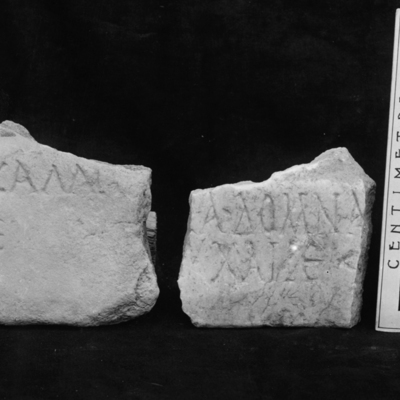 Two Greek inscriptions in marble.